Make this mountain cabin your summertime retreat or full time home. Private location set in the trees. Screened front and back porches. Close to Pearson Falls. 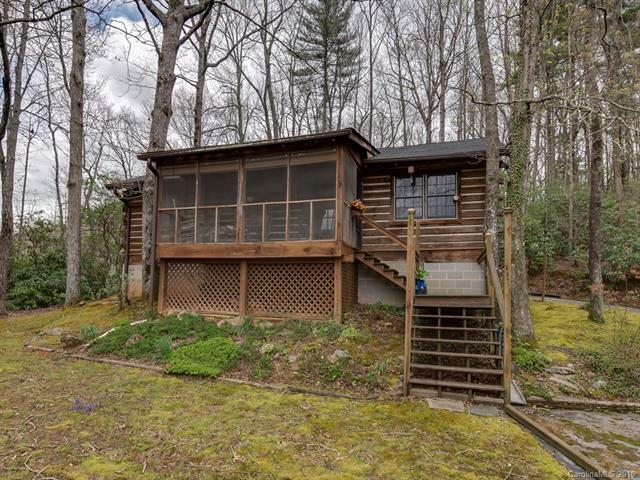 This cabin is conveniently located with easy access to all the outdoor activities that draw people to the Saluda / Western NC area. Approximately 30 minutes to TIEC. This cabin is being sold furnished. Sold by Beverly Hanks Saluda.